As you may be aware, the new Godzilla movie came out this weekend. It made a lot of money, so you're probably aware. I went to see it as well, and I actually really enjoyed it. I used to watch the Godzilla: The Series cartoon back in the early 2000's (based on the movie that no one likes), and so I have a fair amount of nostalgia for the franchise. When I first heard that a new movie was being made, I was interested, but then I saw the first trailer, and suddenly I was excited. Now that I've seen it, I can say that yes, it was worth it. Godzilla is a legitimately good movie. It was made by Legendary Pictures, a company that I just recently realised is one of my favourite movie studios. They're the ones who were behind superhero movies The Dark Knight and Man of Steel, as well as movies like Where the Wild Things Are and We Are Marshall. But most of their stuff is science-fiction or fantasy, like Watchmen, Inception, and Pacific Rim. Actually, on the topic of Pacific Rim, I thought it was quite similar to Godzilla in many ways (with giant monsters being the main way, of course). Obviously I liked Pacific Rim, but did I like it or Godzilla more? I think the answer is that Godzilla is a better movie, but I liked Pacific Rim more. Godzilla wasn't quite as over the top, but it was better acted and had a better script. Anyway, immediately after getting out of the movie, I was struck with the realisation that Godzilla was a very human movie. Just as a warning, to discuss this idea farther, I'm going to get into some late-movie spoilers. I mean, it's a fairly straightforward plot with no real twists or turns, so spoilers aren't really that big of a deal, but if you're sensitive to that sort of thing (like I am), then you may want to read this after you have watched the movie. I mean, it's not that big of a deal, but this will probably not make a lot of sense if you haven't seen the movie, just because I'll be referring to specific events. So what do I mean by it was a very "human" movie? There's a couple of different things, really. The obvious one is that the humans were the main characters in the movie. It may be titled Godzilla, but he wasn't really the focus of the movie at all. 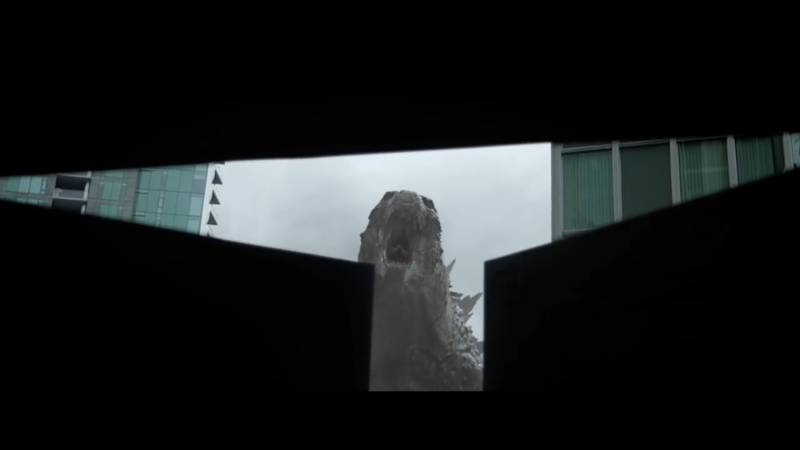 The io9 review of the movie was titled Too Bad About the Boring Humans in this Awesome Godzilla Movie, because the movie spends so much time paying attention to the humans and their conflicts. I'm not saying that this is a bad thing at all; actually, Bryan Cranston (Mr. Breaking Bad himself) has an absolutely knockout performance as one of the main characters. Your heart really breaks for the man. The other reason that I call it human is because the story itself is told from the perspective of a human. Not narrated by a human or anything, just... the script was written by a human writing about Godzilla. It's kind of hard to explain what I mean, but to really understand what I'm going for, I'll explain why this post is titled "Goodzilla?" At the end, my question was why is Godzilla the good guy and why were the MUTOs bad? How were they in any way different from each other? It's clear that the movie paints Godzilla as the "good" one and the MUTOs as the "bad" ones, by why? Basically, it's because Godzilla's actions balance out more positively towards the humans than the MUTOs' do. That's why it's a human film: the one that's more helpful towards the humans is labled as the "good" monster. This bothered me when I started to think about it, because really Godzilla was no better than the MUTOs, and the MUTOs were really no worse than Godzilla. They all killed countless humans simply as collateral, levelled buildings just by walking, and most importantly prioritised their own needs over those of humans. In fact, I would classify them all as chaotic-neutral creatures. Godzilla is simply following his role as a hunter, not protecting humans, and the MUTOs are just trying to eat radiation and survive to raise their young, not to destroy human residences and power grids. The creatures' natural actions all have side effects, it's just that Godzilla's side effects happened to be better for the humans. It's not really fair. Really, if anyone is to blame for the MUTOs' attacks, it's the humans themselves for playing with nuclear power. Which, on second thought, is actually pretty in line with the themes of the original movie (and this new movie in part). 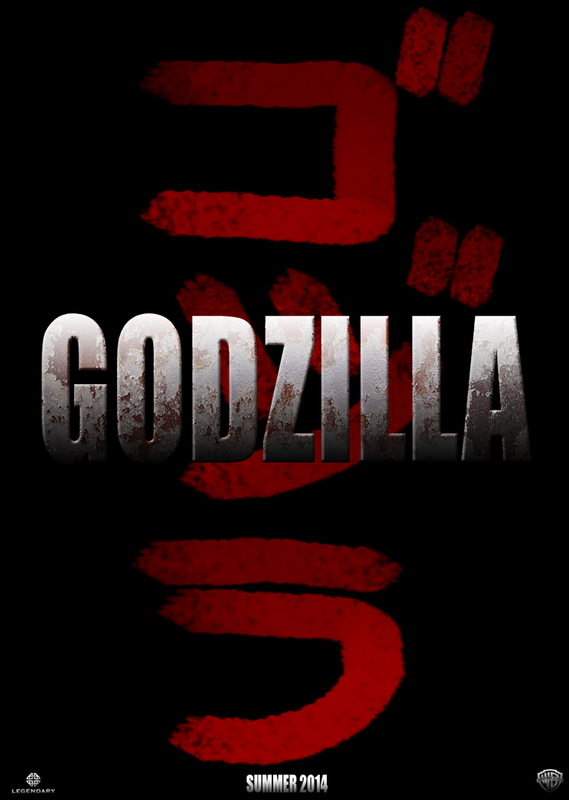 The original Godzilla movie was created in Japan as a reaction to the bombings of Hiroshima and Nagasaki and the true terror of nuclear weapons. If anything, this movie just extends this message out to nuclear power in addition to the weapons. This probably wasn't the intent of Garreth Edwards, but it's a nice parallel between the movies to make. Obviously the weapons theme was still there, what with the bomb that they tried to set off (and then failed to diffuse). Silly humans. This screenshot is from the second trailer, and it's slightly different in the movie. Actually, during that scene towards the end where Ford burns the MUTOs' eggs and the mother rushes back clearly distressed, I actually felt really bad for her. I could see the pain in her actions. She had just wanted to raise her children, and this human had burned them all alive. Of course she would be angry at Ford and try to kill him; any mother would. On the other side of the spectrum, at the very end of the movie the billboard refer to Godzilla as the "Saviour of the City" right when he gets up and walks into the ocean again, stepping on who knows how many survivors in the process. It was supposed to be a victorious scene, but I just saw it as more collateral. Anyways, that's what was tumbling around in my head after watching the movie. Like I said, I did really enjoy it, and I'm quite glad that they're planning to go ahead with a sequel. I just hope that in the next go around, there will be less shots from the ground looking up at the monsters, and more from a distance watching monsters punch each other in all its glory. Or giant robots. I'd be happy with that too.